This boat has been replaced with the 195 Bay. The 1910 NauticBay is a boat for the serious angler who wants big time features in a smaller horsepower package. Standard features include rear fold down jump seats, an aft release well and a console baitwell. The unique front deck houses a top entry rod locker, bow storage and an insulated fish box. 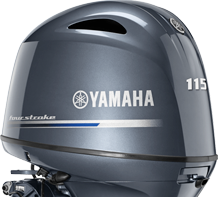 Power this craft with a 115 hp outboard and hurry off to the catch. Aft, the 1910 NauticBay has 2 flip-up/down jump seats with storage compartments below them seat. Between them there is a 27 gallon livewell. The 1910 has a portside rod box, a center storage box, and a starboard insulated fish box with overboard drain. The center console features a stainless steel fold-down grab rail, removable windshield, in-console livewell/baitwell, 2-stainless steel drink holders, stainless steel wheel with finger grips, gray radio box, and speedometer/tachometer/fuel gauge panel.